By far the most important thing to think about when deciding what to plant for your landscaping is to how each plant deals with the drought conditions. Obviously, we always hope we get plenty of rain but it’s better to plan for less and get more. Crape myrtles are one of the best plants when it comes to dealing with the drought conditions. They have always been one of our most highly recommended trees when it comes to landscape planning and that continues to be the case. You still need to keep an eye on them and give them plenty of water, but they are built to withstand heat and dry conditions. 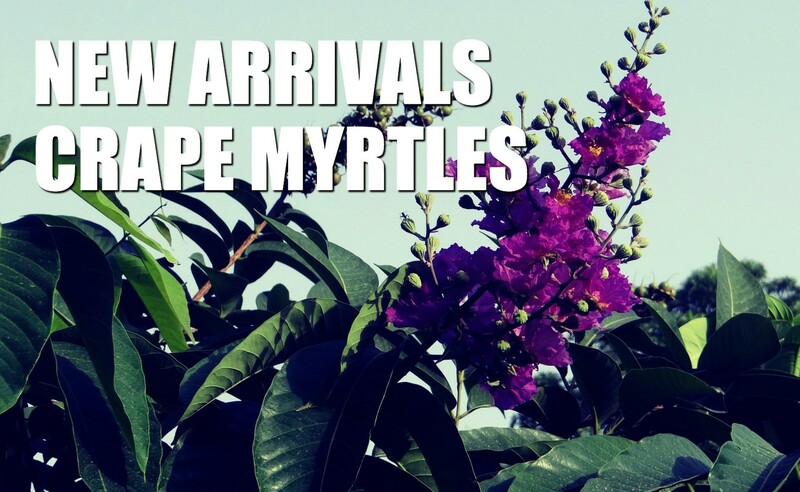 As we said earlier, we have both dwarf and full-size crape myrtles for you to choose from. If you’re looking to add some colors to your shrubbery than the door size will be perfect. However, if you’re looking to add a little bit of shade and color the full size maybe the better option. Proper trimming and tapering can also affect don’t look of your crepe myrtles. When you come down to visit, let our staff know exactly what your situation is and we can help you make throw choice. The many shapes and sizes are nice and the drought-resistant we’ll definitely come in handy, but nothing set apart crape myrtles like the color of their blooms. 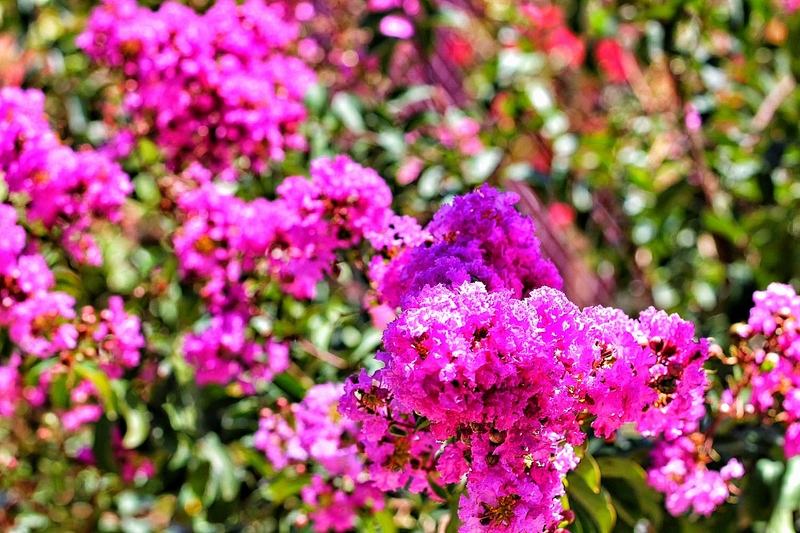 Crape myrtles come in red, pink, purple, white, and many variations of the sort. The colors are bright and vibrant and are sure to catch the eye of any lookers on. On top of that, the blooms are full and dense. We have seen some that almost look like color explosions. We cannot say enough good things about the way these trees and shrubs look. Our selection is fresh off the truck and an amazing price they will not last long. Hurry down to Makin and Sons Gardens to pick out perfect crepe myrtles to really set off your landscaping. Mankin and Sons Gardens © 2016.